In an interview with the Caribbean Media Corporation, Brooklyn-based Civil Court Judge, Justice Kathy J. King, reminisced about her Caribbean upbringing and her pursuit of law. “I am the daughter of Caribbean immigrants who were born in Montserrat, British West Indies. Although my mother and father had no formal education, they stressed the value of education to me and my sister, as a means of achieving personal growth, opportunity and advancement. Their values and unwavering support motivated me to be the first in my family to attend college and graduate school,” she said. “While I was raised in St. Albans, Queens, my fondest memories growing up were of time spent in the Caribbean. My mother would send my sister and me to spend summers in Montserrat. Just travelling to Montserrat was an adventure,” she continued. “As an adult, I often seek refuge from the hectic pace of work and my other responsibilities by hanging out at a local beach or, if time permits, traveling to the Caribbean,” Justice King said. In 2003, Justice King was elected to that city’s Civil Court. By 2009, she was appointed as acting Supreme Court Justice, where she presided over Criminal and Civil Court matters. Then, in 2014, she was elected to the New York State Supreme Court, also in Brooklyn. That year she was also the recipient of Montserrat Progressive Society’s Mother of the Year Award, which recognized her accomplishments as a trail blazer and working mother. She says her interest in pursuing a career in law was nurtured by Judge Kenneth Browne, with whom she interned during college in the mid-70s. Judge Browne was the first African American judge elected to Civil and Supreme Court in Queens County. Prior to enrolling at the State University of New York Buffalo Law School, Justice King attended New York City College’s Urban Legal Studies Programme. After law school, King returned home, and, shortly thereafter, purchased a brownstone, moving to the Bedford-Stuyvesant section of Brooklyn. “As a resident of Bed-Stuy (Bedford-Stuyvesant) for almost 30 years, it is amazing to see the transformation in the neighborhood from the late 1980s, when there was an abundance of abandoned and sealed-up buildings to the burgeoning development that is presently taking place on every block in the neighborhood,” she said. After law school graduation, King’s career trajectory was greatly influenced by responsibilities as a care provider for her aging mother and cousin, who lived in Montserrat. “Little did I know that my experiences as a care provider, which included advance directives and elder law planning, would provide the foundation for my future assignment as a guardianship judge in the Supreme Court,” she said. King noted that her career path to the bench did not result solely from her own desire and initiative but was, in large part, due to encouragement by others. 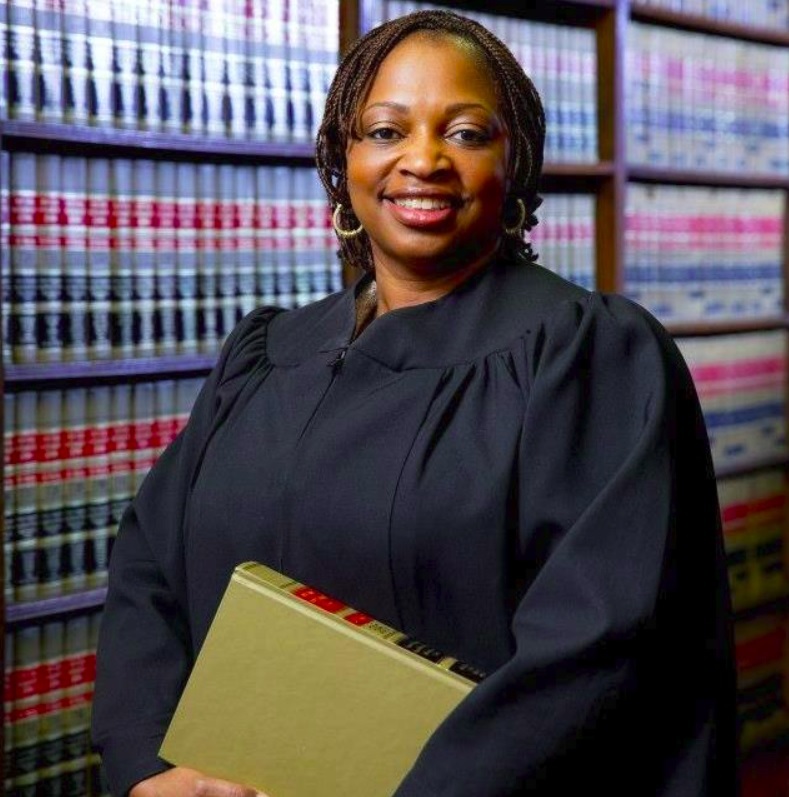 Justice King is also actively involved in the National Association of Women Judges (NAWJ), an organization dedicated to preserving judicial independence to women and minorities, increasing the number and advancement of women judges, and providing judicial education. King previously served on NAWJ’s Board of Directors. She is a former past president of the NAWJ’s New York Chapter, and currently serves as co-chair of NAWJ’s membership Committee. Recognizing the importance of mentoring and empowering the next generation of women in the legal profession, Justice King said she mentors newly-elected judges and lawyers, and law students. She also provides internship opportunities in her chambers. “I am hopeful that my work in the NAWJ inspires others to put their unique stamp on women in the legal profession,” she explained.